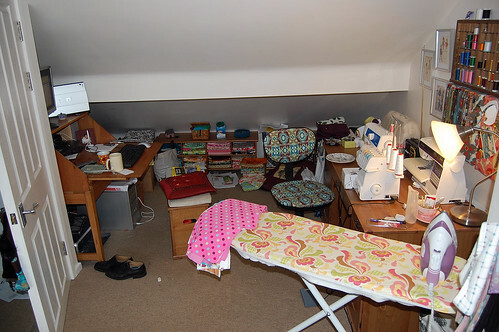 I woke up this morning, took one look around my bedroom/studio and wanted to cry! How did it get to be such a mess? Matters were not helped when I then saw the beautiful studio here. Lovely :-) and Oh my word! that link you posted! do people really live like that?! 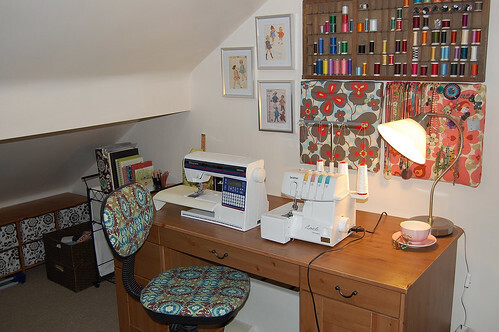 I'm not even going to think about pics of my study/sewing room, imagine teetering piles of theological books and papers to start with!, WIPs fabric, yarn and stuff... oh and a freezer! One day I'll get it sorted, between the essays! Hi Jeanette, I've nominated you for an award, you'll find it on my blog!